CRM on-premise to Sharepoint online integration–Common obstacles faced and their work-around. Well, the above link contains all the steps you need to set-up server-server integration between Dynamics On-Prem and Sharepoint online. But still from my personal experience I find that customers find it great difficult to set this up. This is mainly because they get some error while executing a step or because some pre-requisites are not there and they are not mentioned in the technet link as well. The main intention of this post is to rectify all those errors, identify all the dependencies and work your way to glory. So let’s identify the dependencies first. Dependency 1 : Dynamics should be ADFS configured and accessible over the internet. I am not going over the topic again on how to do it. Greatly explained here – https://technet.microsoft.com/en-us/library/dn609803.aspx and in so many other blogs. 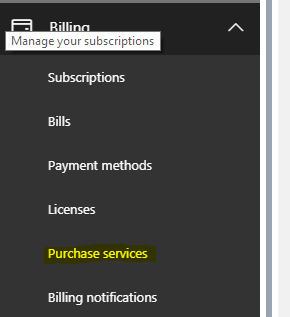 Dependency 2: Microsoft Dynamics 365 Hybrid Connector should be configured. Believe me, from my personal experience I find many clueless about this. Well you no longer need to. 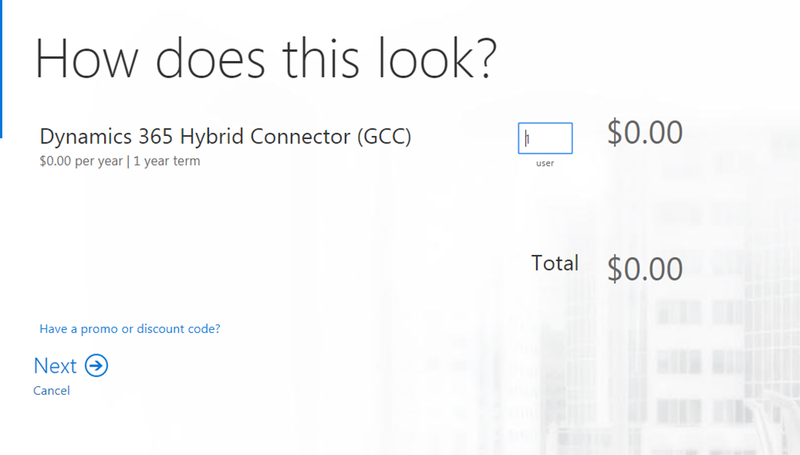 You just need to verify here if Dynamics 365 Hybrid connector subscription is available and commissioned. Login to https://portal.office.com using the Office 365 admin credentials for your SP online tenant. 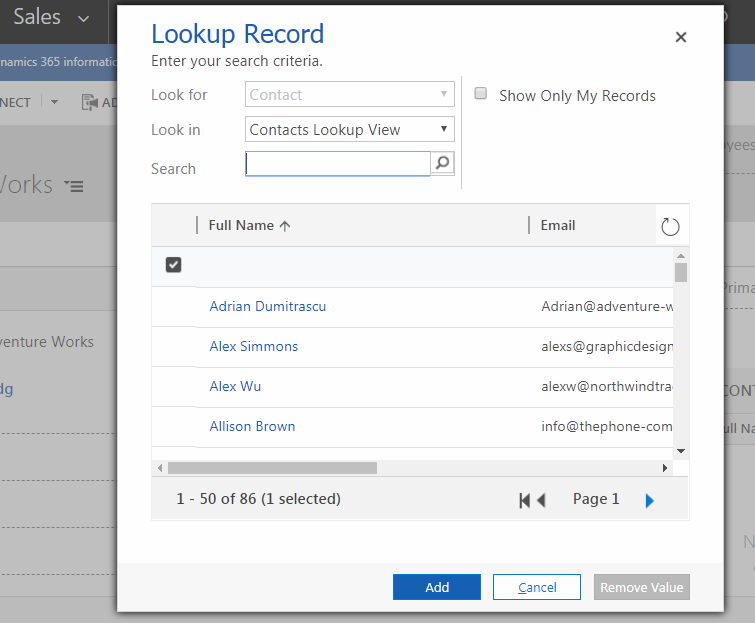 Expand the section Dynamics 365 Suite. Usually its expanded. If not expand it. Search for the word “Hybrid”. You should get it. If not, you need to add the connector. Below are the steps on how you can do it. Use the URL – https://portal.office.com/Signup/Signup.aspx?OfferId=2d11d538-945d-48c6-b609-a5ce54ce7b18&pc=76ac7a4d-8346-4419-959c-d3896e89b3c9. Select Add it to my existing account. Enter you credit card number and then click on Place Order. Don’t worry, you won’t be charged for this. You are all set and done. Dependency 3: Connect to Microsoft Online through PowerShell. The moment you do this step, you get an error like the one below. Well to successfully accomplish this, you need to complete both the required steps. Microsoft Online Services Sign-In Assistant for IT Professionals Beta – select the appropriate download. It may ask you to restart the machine for the changes to take effect. Please do the same. Now also if you run the install-module command, it would fail. The reason is install-module command is available from Powershell v5.0 and above. So you need to update your powershell as well. To do this, download the necessary installer depending on your server/ 64 or 32 bit machine, from the below Url. Again machine restart is required. Now open powershell as administrator and then try to install the module MSOnline. It will now download the same from Nuget. Well this is the simplest but again it can give you some errors which would be difficult to find out. The first question is – which certificate do I need to use. So we can basically re-use your CRM certificate or ADFS certificate. 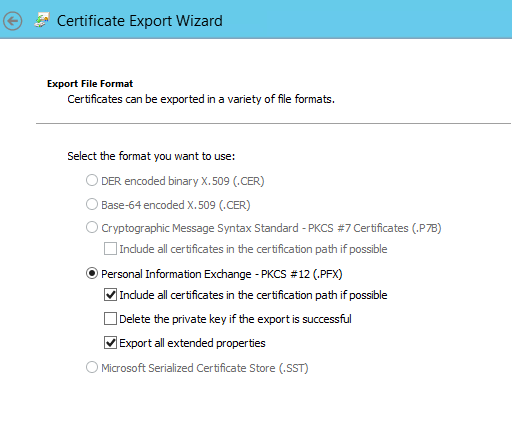 All you should take care is while exporting the certificate, it should be exported along the private key. * Export all extended properties should be checked. You will be asked to provide a password. Keep this password as you will need this later. Once the file is exported, import it in the personal store of the machine where deployment manager is installed. The technet article asks you to execute the below command. The service account is important here in the above statement. Whatever service name you provide here, that should have access to the private key of the certificate. 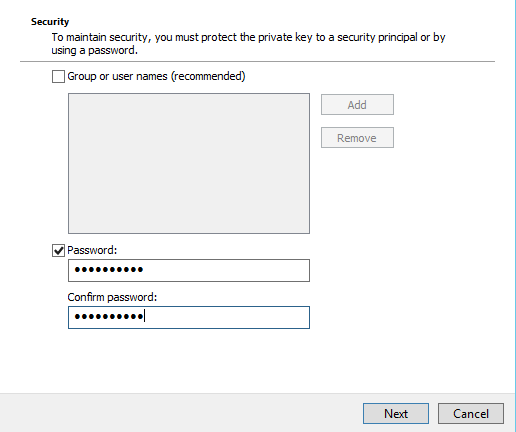 To do that, you need to provide permission to the private key from the certificate console. 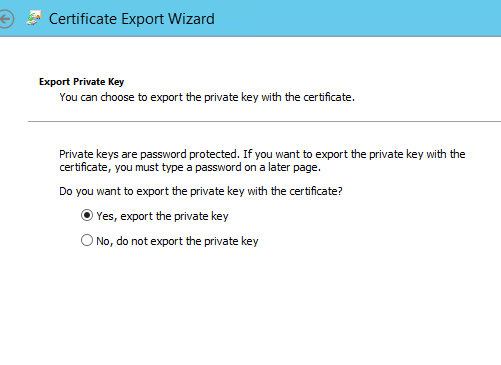 Click on Manage Private Keys and give the service account user full permission on the certificate. After completing all the above steps, while connecting to your CRM, you may receive the 401 - Un-authorized error in Powershell. For this follow the below steps. Re-open powershell. It should work. The commands I am not repeating from the technet article since they work just fine. Spoiler alert! Unlike other blogs, I am not going to update you about any new feature. Rather I am going to share my project experience in handling multiple forms designed for your Web and Mobile layouts. And you have your users who will just access CRM through desktop and then some users accessing CRM through both Desktop and mobile. So what is the next step? We create a new form of type Main, this time specifically for mobile and put in only the fields required for Mobile as per the requirement. But wait, we have another form already exposed for the desktop. So how do we handle this. Create a new security. 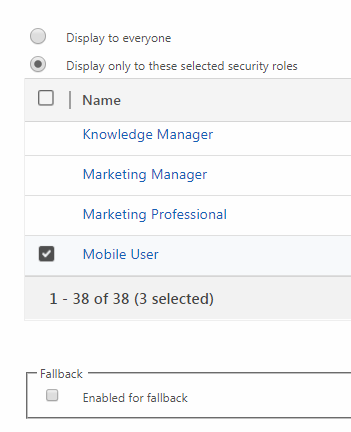 Let us name it here – “Mobile User Security Role”. The privileges for this security role is optional and depends on your requirements. Assign the security to users who need to access CRM on mobile. In the Form order for Main Form set, set the Mobile form at the top of form order. The next step is to leverage the role based forms. Expose the Account – Mobile form to only users with Mobile User Security Role. Uncheck the “enabled for fallback” checkbox as well. Save an publish your customizations. All set and done. Now this works very well for users who does not use desktop and manages through mobile (hardly the case) and users not exposed to mobile platform. However the issue is for a user who has access to mobile and desktop version. They now see two forms and the mobile form starts showing up in the desktop as well as it is highest level in the form order as well. The last step here is to switch the mobile if it loads on desktop. The simple piece of client side script would just work fine when put in form load of the mobile form. Please remember that form navigation script is not supported on mobile. Hence first I am making the check if the client is Mobile. Well there you go. Everything is up and running for you now. This one feature that I am going to pen down here, personally I have longing for it quite sometime now. So before going into the HOW part of it, let’s understand the why part of it? When do I need show a Lookup dialog Programmatically? Well the answer is, numerous occasions. Like if you need to throw up a lookup dialog on change of field on the form OR you needed to throw the lookup dialog on click of a button on a web-resource. All this time, we have achieved this but not in a supported way. Probably we may have ended up using Xrm.Internal.openDialog or some method of Mscrm.Internal namespace. But all these are unsupported and mere workaround to this perennial problem. Well, no more messing around. Microsoft has finally brought in the Xrm.Utility.lookupObjects. So let’s see how it works. Focus on the highlighted lines starting from top. The first is the lookupOptions paramter. Since we are going to open a contact, I have specified defaultEntityType and entityTypes both to contact. Cool isn’t it? Now half of the job is done. But how about getting the selected record back. Well this method does not disappoint you here either. The success callback function returns the selected item as you can see from the code above. It has properties of entityType, id and the name which you can use to set the look up field of any other type. Here I have used the same to set the value of primarycontactid field of the account record. Such a huge sigh of relief for me. Working currently on a client engagement on the latest Dynamics version (v9.0) and hence got a chance to the new introduced Client API’s with version 9.0. For starters, the Xrm.Page has been deprecated with version 9.0 and a completely new set of API’s have come up with version 9.0 along with host of new features. So coming back to the requirement here, if you have worked on Client API’s, chances are more that you have worked with Xrm.Utility namespace. Showing alerts/ confirmations/ opening entity forms/ webresources – what not can we do with the namespace. However there was a problem. Xrm.Utility.alertDialog/ Xrm.Utility.confirmDialog still used to leverage the window.alert/ window.confirm for a web client. The result is – customer always complained about the look and feel of the pop-up. And also the ability to customize the contents of the same. Well no-more. Now you have complete control on these. Excited? Let’s explore together. The previous Xrm.Utility.alertDialog has been replaced with this new API. So let’s see how to open an alert dialog using this function. Wonderful isn’t it? You get an option to even choose the button text. And even more is the flexibility to choose the height and width. Now let’s see how it renders. Such a relief to the eye from the previous versions. And what a relief to the customers! This is the new version of the previous API – Xrm.Utility.confirmDialog. As you can see, you can put title/ subtitle/ text/ cancelButtonLabel/ confirmButtonLabel and also the height and width. The complete rendering of the pop-up is now in your hands. And now let’s see how it looks. The important thing here is errorOptions. So let’s first explore that. details: Any custom details you want to include in the error. If you specify this – “Download Log File” button would show up. errorCode: Now this is wonderful. If you specify this, the message for the corresponding errorCode is retrieved from the server and shown. message: this is the custom message that you want to display in the dialog. Below is the UI I get. strangely enough, the custom error message is not displayed. However if I download the log file, the details are in the log file.